Anyway, my solid answer to this book is: yes. Even if I was kind of bored in the middle haha. I mean, I think this book would be great for people facing adulting (ALTHOUGH don't make the decisions Alvie does; holy heck) and just trying to find their way in the world. The ending had me all feeling squishy. And I love how these are two teens who are a bit broken and life has kicked them and they have disabilities -- but there are no messages of 'you need to be fixed'. NONE. I'm so freaking pleased. More like this thanks. 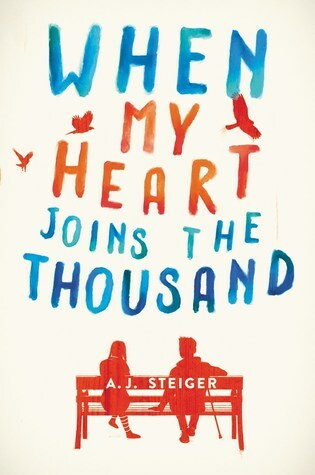 Sign into Goodreads to see if any of your friends have read When My Heart Joins the Thousand. 14.2% "It's really nice to find autistic girls (!!) I just wish the word autism wasn't avoided and flinched at. Seriously IT'S NOT A BAD WORD." YA and Watership Down? this sounds too good to be true! Great review. I was trying to decide if I want to get the audiobook. There’s an animated movie of Watership Down. Pretty old, like back in the original Disney Cinderella & Sleeping Beauty day. Still...rabbits leaving their violent society in a quest for Utopia. Bunnies in peril!